UPDATE 12/1 9AM: Seagate confirmed Thursday that it decided to revive the Maxtor brand in a bid to sell value products. In the coming months the company plans to phase-out its inexpensive Samsung-branded products and Maxtor will take their place. Seagate has quietly started to sell Maxtor-branded external storage devices in various countries. At present, the company offers the Maxtor M3 and the Maxtor D3 Station DAS devices, which it also sells under the Samsung name (yes, you read that right - click here for proof). Right now, it is unclear for how long Seagate plans to use the trademark, which it has not touched for quite a while. Maxtor was a major maker of hard drives that was founded in 1982 and acquired by Seagate in 2006. In the early 2000s, Maxtor was the largest maker of HDDs in the world after its acquisition of HDD division from Quantum, but its advantages somewhat diminished by the middle of the decade due to various reasons, such as the lack of a comprehensive lineup of 2.5” hard drives in the product stack. Maxtor faced severe financial troubles for the most part of its history, and after it was acquired it was also plagued by quality problems as well as controversial management decisions. After Seagate took the company over in 2006, it did ship Maxtor-branded internal and external drives for a couple of years (in fact, external storage was a strong side of Maxtor), but eventually the trademark was dropped. Earlier this year Seagate decided to start using the Maxtor brand again to sell its M3 and D3 Station external storage products. Both of the DAS devices are also known as the Samsung M3 as well as the Samsung D3 Station which are available worldwide today. In fact, it is surprising to see that Seagate still uses the Samsung brand for hard drive products about five years after the acquisition of Samsung’s HDD business. Under the initial agreement, Seagate had rights to use the Samsung trademark for hard drives for 12 months following the buyout. Apparently, the two companies have amended the initial agreement as Seagate currently offers four Samsung-branded products for consumers. Meanwhile, the revival of the Maxtor brand could indicate that Seagate has begun to phase-out use of the Samsung trademark for its products, which is why it creates alternatives featuring a different brand (some may say that we are dealing with a plain re-badging). 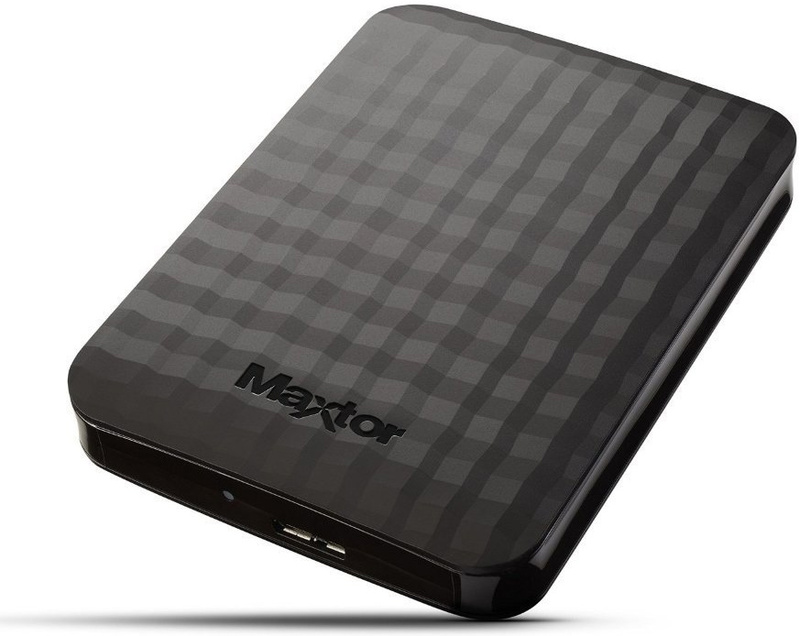 The Maxtor M3 external drive offers 500 GB, 1 TB, 2 TB and 4 TB capacities via a USB 3.0 interface. The top of the range Maxtor M3 model is based on the Spinpoint M10P 2.5”/15 mm HDD with five 800 GB platters featuring shingled magnetic recording technology at 5400 RPM spindle speed as well as 16 MB of cache. In the meantime, models with lower capacities use different hard drives and have smaller dimensions. The DAS comes with AutoBackup and SafetyKey software for automatic backup and protection. 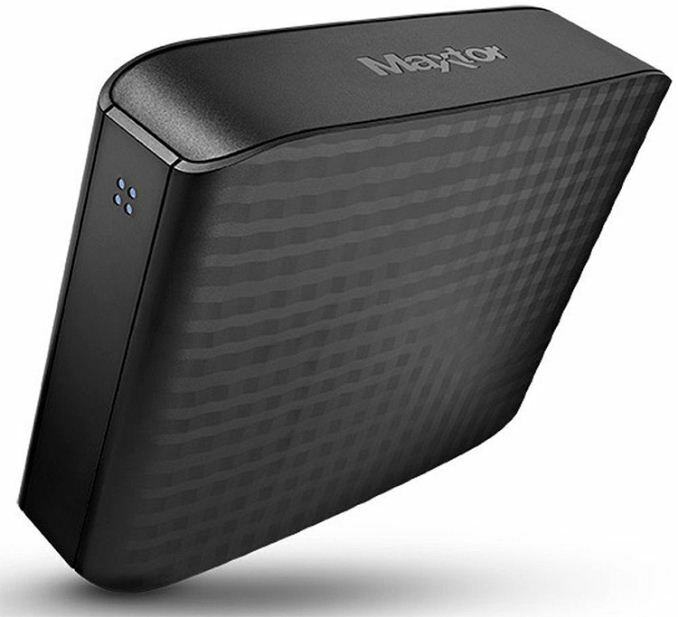 The Maxtor D3 Station uses two 2.5” HDDs to offer 2 TB, 3 TB, 4 TB and 5 TB capacities (as opposed to up to 6 TB offered by the Samsung D3 Station version). Just like the M3, the DAS uses a USB 3.0 interface both for data transfer and for power. In addition it also comes with AutoBackup and SafetyKey. Since the D3 Station is designed to serve essential storage needs, it is basically a JBOD device that does not offer any kind of RAID for additional performance or reliability (it also makes for an inconsistent performance profile). At present, Seagate uses its own brand to sell various external storage devices, the LaCie trademark for premium DAS products and the Samsung brand for select inexpensive external storage solutions. On Thursday the company said that it plans to continue using three brands for its external storage devices going forward with Maxtor taking the the place of Samsung. Seagate intends to add more products into the Maxtor lineup when it makes sense. The statement by Seagate reads as follows. "Seagate’s consumer strategy is to have three brands to serve our customers varied external storage needs. Seagate (mainstream), LaCie (premium/creative pro) and Maxtor (value)," the company indicated. "The Samsung external HDD line is indeed being transitioned to the revived Maxtor brand. We will continue to provide products under the Maxtor brand and evolve the line as it makes sense." At present, the Maxtor M3 and the Maxtor D3 Station products are available at Amazon and multiple other online and retail stores across the world. I'm not sure if you know it, but your ranting comment is probably one of the most amusing I've read here at AT in weeks. The line about the cleaning staff designing the package had the beauty of freshly shed unicorn tears, glimmering in the light cast by the morning sun as it rises from behind the hills around a tranquil, untouched forest. And no, those tears didn't come from Charlie the Unicorn either. Yeah, It seems that Seagate, when they bought Maxtor, switched over to all of the bad engineering and manufacturing of Maxtor, and shed whatever decent tech it had, because that was the moment Seagate quality tanked. I have stacks of Seagate drives, none I've owned in the past 10 years have lasted more than a few years - most taking terabytes of data without a single warning. As it stands, in terms of quality, Hitachi #1 (I'd trust a used server pull with 20k hours over a new Seagate), WD #2 (their network line, mostly), Toshiba #3 (distant), and Seagate #NEVER-NADA-ZIP-ZILCH. Samsung drives were very reliable, but very slow. Especially their laptop drives. Good storage drives. But system builders are looking for drives you can run an OS from and Samsung drives were just not competitive which is why they had almost no OEM wins. A stark contrast to their SSD products that have many OEM wins, only bested by Sandisk. The Samsung Spinpoint F3 was actually pretty good from a performance perspective. Sure it wasn't going to out-bench a Western Digital Black... But it was also a heap cheaper. As for Seagate... The first HDD (That wasn't in a prebuilt) I bought back in the 90's was a Seagate Cheetah, it lasted a week and I haven't dared touch them since. IIRC, the Spinpoint F3 launched prior to the WD Black that it competed with and still compared pretty decently after the WD Black launched. Could be nostalgia talking though.